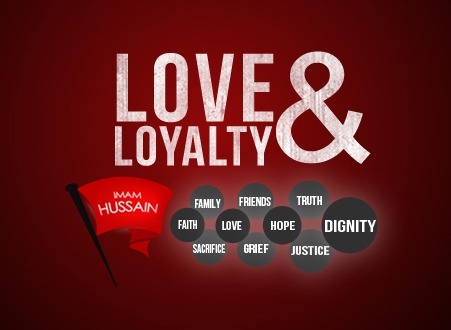 The marveling aspect is that all had complete faith, love, and loyalty to Imam Hussain who was championing God’s message in Islam. What else describes the bond that would motivate the 72 companions -18 of whom were from his own family – to fearlessly fight 30,000 soldiers in defense of their leader. Even more, whilst trapped in a barren dessert, with no food or water for three days, and sure knowledge of the impending martydom? What else describes the strength in the arms of Imam Hussain (as)’s teenage son Ali Akbar as he single-handedly fights the biggest warriors of Syria? What else describes resilience of the group of companions who stood as human shields to protect Imam Hussain (as) from the shower of arrows while he prayed his morning prayers? Why else would Imam Hussain (as)’s sisters, daughters, and nieces continue to share the story of their leader’s innocence, courage, and righteousness despite their imprisonment after his murder? 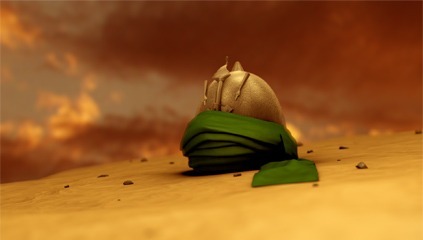 The story of Imam Hussain (as) at Karbala is embedded with beautiful displays of love and loyalty by his companions and family that far surpass the standards that you and I are familiar with. Their willingness to sacrifice all they own, including their lives, for the support of their leader’s mission to protect truth and unveil falsehood is an inspiration for anyone wishing to make a beneficial change in the world.